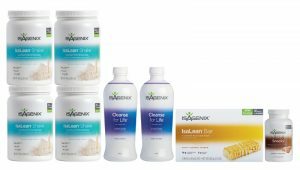 The Isagenix Kosher Cleanse Liquid 2 Pak is similar to the Isagenix Cleanse for Life powder, however it is Kosher certified and many find the Isagenix Kosher Cleanse liquid easy and convenient to drink. Isagenix Kosher Cleanse Liquid drink will assist in releasing harmful impurities that can slow down your metabolism and affect your overall health. Isagenix Cleanse for Life is a vital part in all of your Isagenix nutritional cleansing programs. For more information about this product or any of the Isagenix products in general, contact Nicole at info@isaelite.com.au or call her on 0413 254 398. How Can You Buy the Isagenix Kosher Friendly Cleanse for Life?